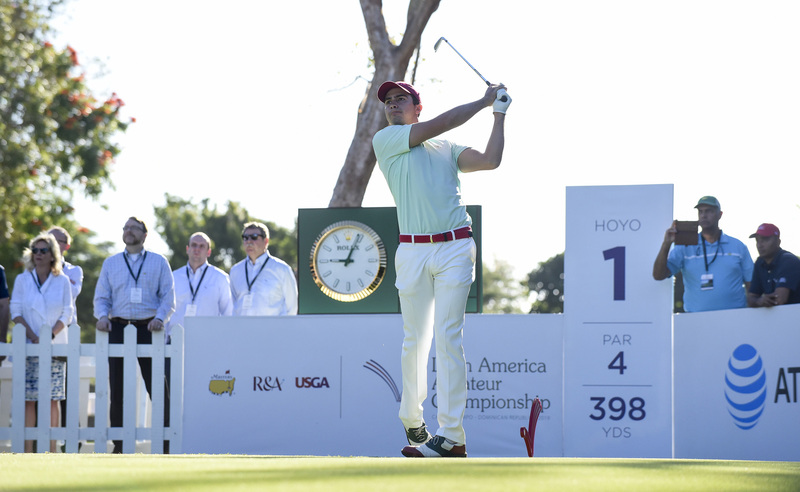 Exactly three years ago this week, on Saturday evening after the third round of the second Latin America Amateur Championship, Alvaro Ortiz consulted the tee times for Sunday’s final round on Casa de Campo’s Teeth of the Dog, and his heart sank. Ortiz saw that his listed score was incorrect, and he scrambled to the championship office to attempt to correct it. But it was a few hours after the round ended, and he was disqualified for the error, losing out on the chance to compete for the championship one year after he tied for third place in the inaugural event. 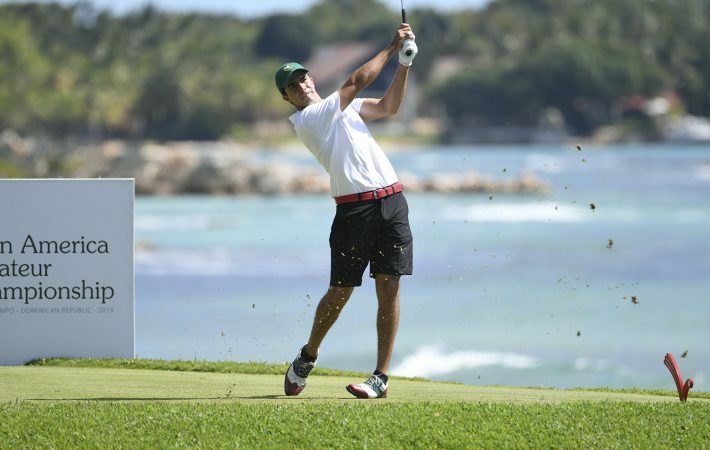 The overarching storyline for Sunday’s final round of the fifth LAAC is whether Ortiz can finally break through for victory after following up that DQ with a playoff loss to Toto Gana in 2017 and another runner-up finish last year to Joaquin Niemann, who closed with a 63 in Santiago, Chile. Did Ortiz return to Casa de Campo this week thinking that he had unfinished business at this seaside Dominican resort? Ortiz’s return to the 2016 venue this week was not without its hiccups – a couple of travel snafus kept him from arriving on the property until Tuesday night. But he shook off those seemingly bad omens, just as he shrugged off a slow-play warning on Saturday when he and his fellow-competitors were battling for the third-round lead. 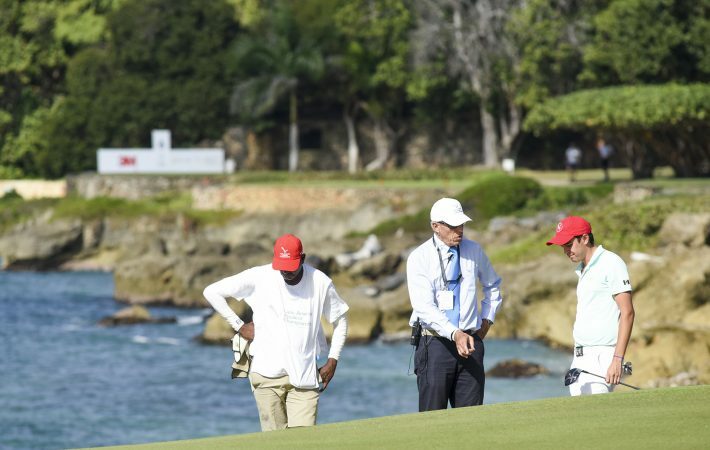 Ortiz made back-to-back bogeys to start the second nine on Saturday, but he steadied himself and finished with a two-putt birdie on the par-5 18th. This is his final LAAC, as he plans to turn professional either post-championship or after competing in the Masters, should he win. Ortiz has chosen to use the cumulative effect of his close calls as positive steps in his development as a player and a person. 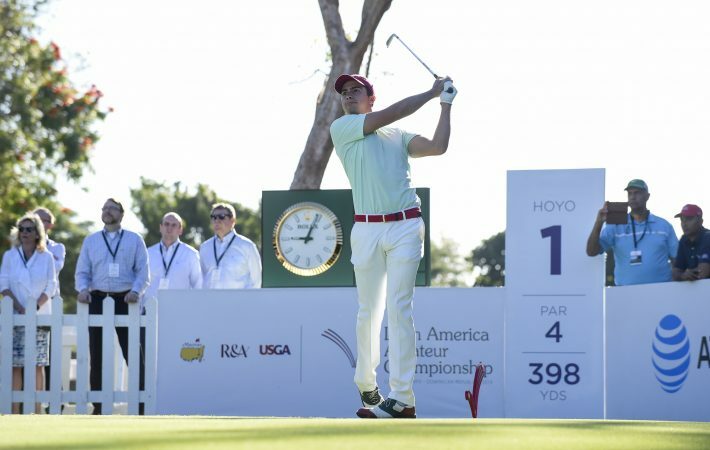 Ortiz has been working recently to hone his short game with coach Justin Poynter in Dallas, where he lives with Carlos and his family after completing his eligibility at the University of Arkansas last year. On Sunday, he will find out if the LAAC will deliver yet another lesson or the spoils of victory. “If my dream doesn’t come true, for sure I’ll be sad, but I’ll keep going and this will help me someday to win the Masters,” said Ortiz. Not surprisingly, Ortiz’s mantra is upbeat: the result will be either dream realized or simply deferred.